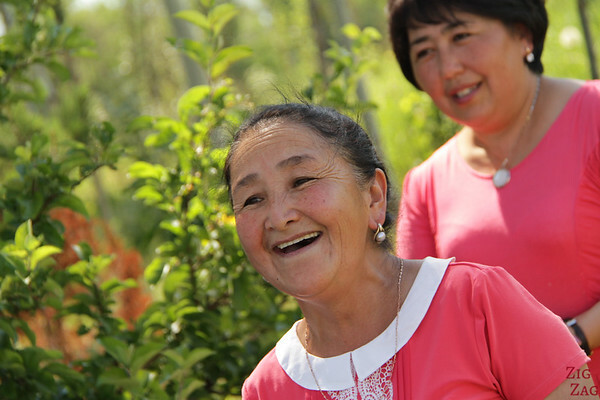 The Kyrgyzstan people are the other treasure of the country (apart from the painting-like landscapes): their kindness, their smile and their love for their country. 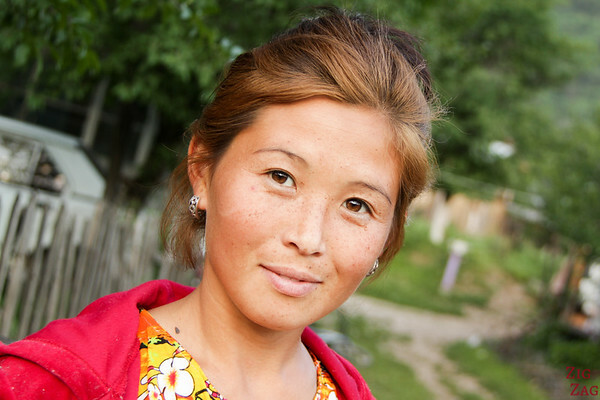 I had the chance that most Kyrgyz I crossed path with allowed me to capture their beauty with my camera. Let me introduce them to you. This is the first time during a trip that I have photographed that many people. I normally capture only landscapes and sometimes street life. I wanted it to change. It was one of the reasons I booked this tour organized by the blogger Wandering Earl. He is very good at meeting people on his own travels and I wanted to experience it. It did not disappoint. It is one of the reasons I wandered if I should promote the destination as tourists would change everything. 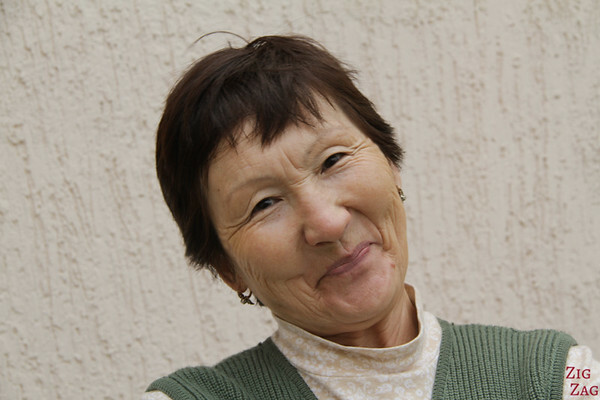 The only limitation was language.​ However you can still exchange a lot with a smile or a sign. 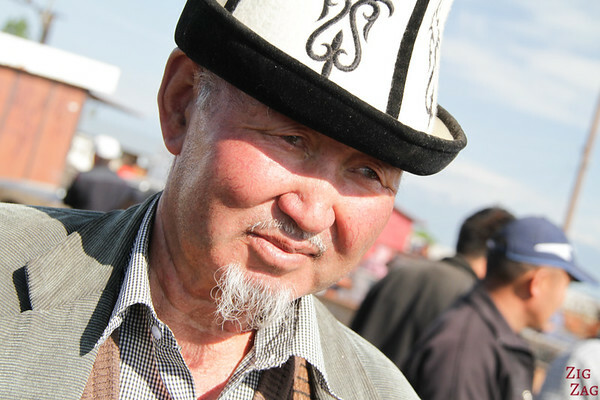 The Kyrgyzstan people speak 2 languages: Russian and Kyrgyz. So I learned this very useful sentence: 'Mozhno vas sfotografirovat?' which means 'Can I take your picture?' And almost everyone accepted! They were even excited. Just don't forget to show them the picture on your screen afterwards. 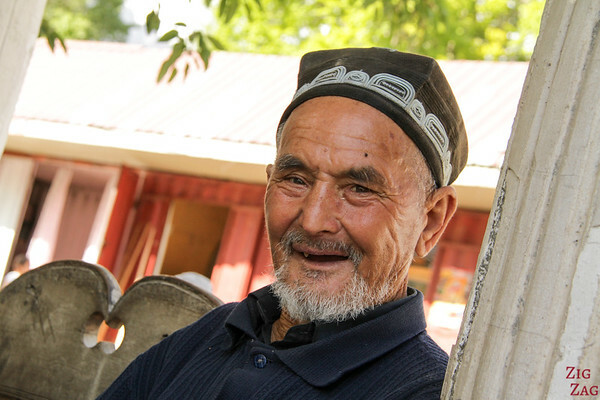 This is one of the reasons I loved traveling in Kyrgyzstan. They have not yet been changed by tourism and interactions are genuine. 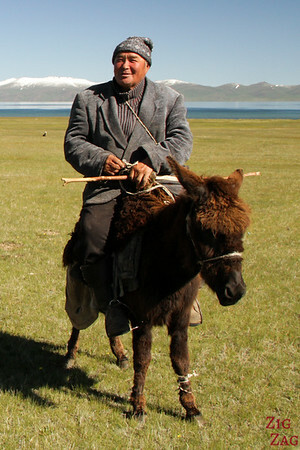 If you want to discover more about their culture, check out my post about the Nomadic culture﻿ or the wikipedia page. 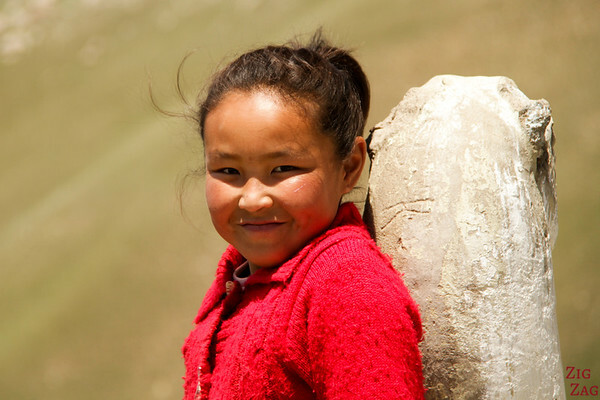 You will notice that most people have asian features as those photos were mostly taken in the countryside. 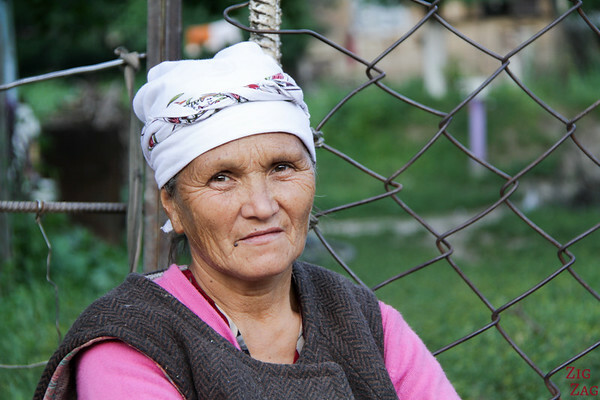 However you should know that in the main cities, there is a racial mix with many people from Russia and Bielorussia. 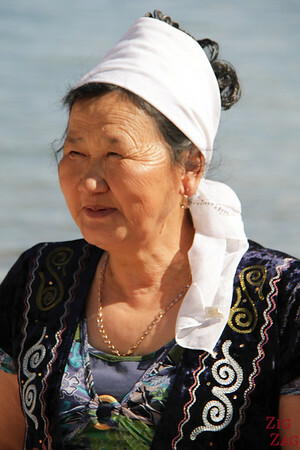 As we approached the shore of the lake, this woman noticed how I was admiring her clothes. She approached and suggested I photograph her. And right away the whole family wanted to be in the picture. So much fun! 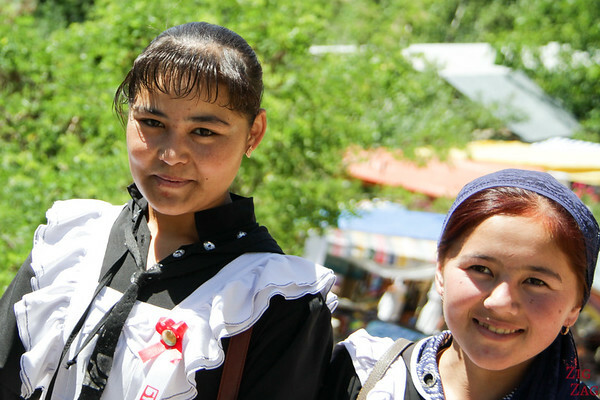 The Kyrgyzstan people are always welcoming! 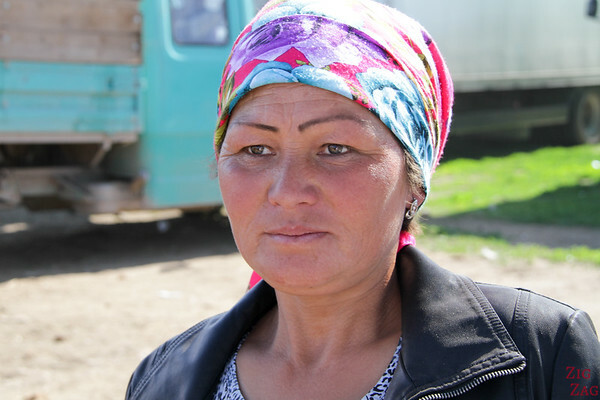 She is the head of a school 70km west​ of Bishkek and, it seems, a very important lady. She was on vacation with part of her family (she has 7 children). They were having their lunch break and of course we could not refuse tasting a little bit of their food: some horse meat and a rice mixture. Not bad! 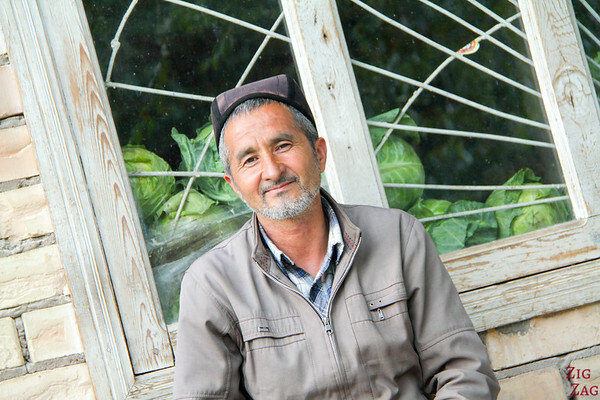 Gennadi was our driver from Karakol to the beautiful valley of Altyn Arashan. There is only one road to go there and it is in bad condition! So it takes 6 hour to hike or 2 hour to drive but only via 4WD. We started discussing with many people selling and buying animals (cows, sheep, horses…). We learned a lot about the prices and what makes a sheep or a horse expensive. A fun experience! 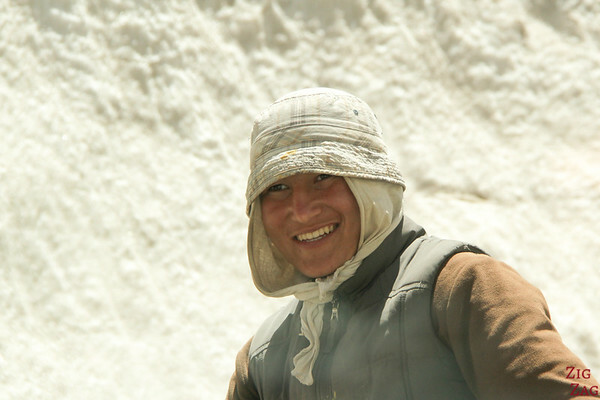 We spent a night at a yurt camp in the Jeti-Ogüz valley of flowers. It was such a peaceful place, close to the river, away from the other camps. The 2 young women managing it had very strong personalities with their dyed blonde hair. 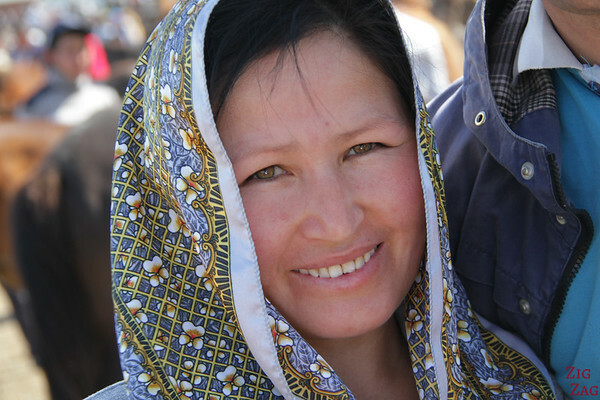 A lot of people traveling in Kyrgyzstan by themselves know about Tamara, the guesthouse owner in Tamga. 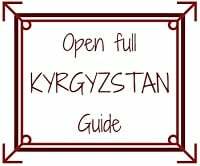 There is not much information about Kyrgyzstan on the Internet, so you quickly end up on Wandering Earl website and his post about meeting Tamara. After spending the night in a yurt at more than 3000m near the Song Kul Lake, I woke up early and walked around our camp. 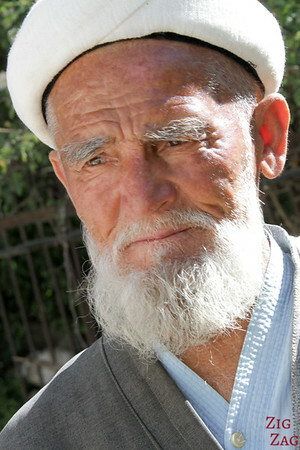 This is were I met this old men on a donkey and his 2 grandsons. The oldest one was on a horse and already very good at galloping and gathering the animals together. It was incredible to see the tradition being passed on to younger generation! As we were driving, we noticed a group of people milking a horse by the side of the road. So we stopped to see if there were making something traditional. 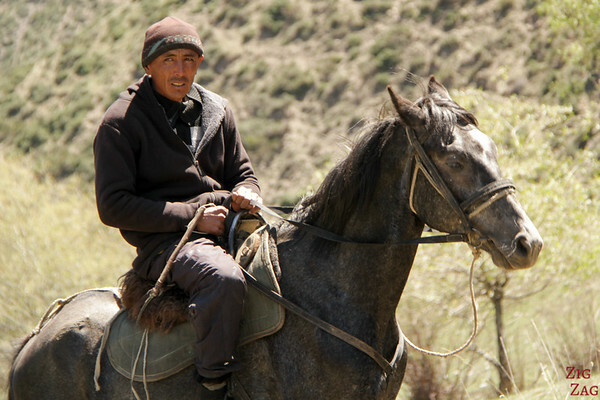 They were not but we got to discuss with the men which were very proud of their horses. After several jobs in security, Igor had saved enough money to buy his own vehicles. 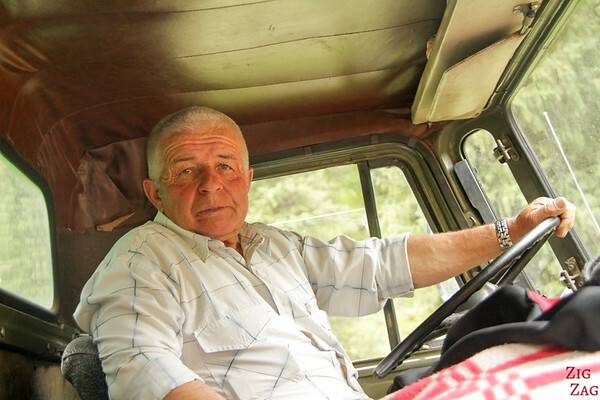 He drives people on specific routes in Kyrgyzstan and Kazakhstan and sometimes on tourist tours. He is very proud of his minibus and takes good care of it. He is an excellent driver. I can confirm because we had many occasions to test his driving skills! 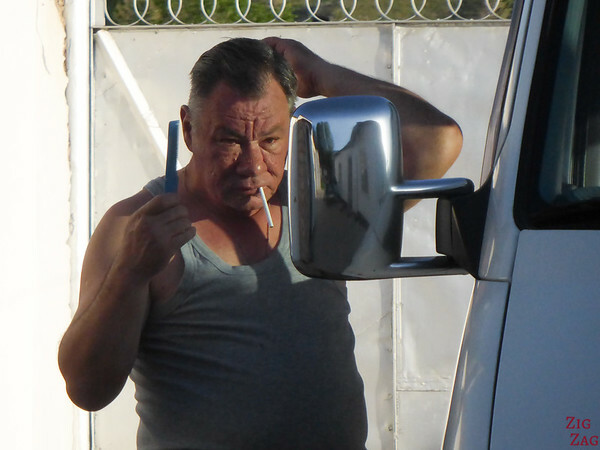 ​Igor is Russian and lives in Karakol. What a great timing! 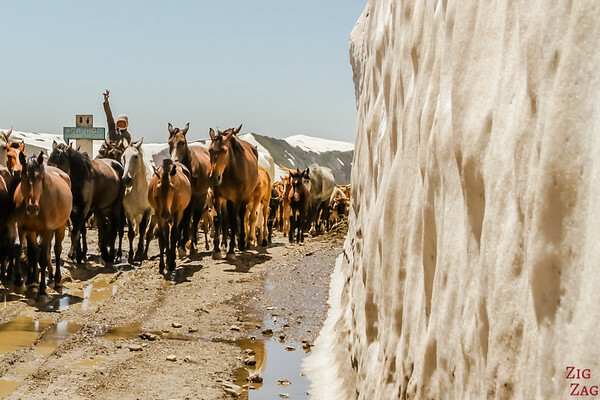 We arrived at this mountain pass where there were big walls of ice of each side at the same time as a nomad with its horses and cows. He waved at us and was as excited seeing us and we were seeing them! The moment was so unique! Look at his glasses. They are attached to the hat to hold. 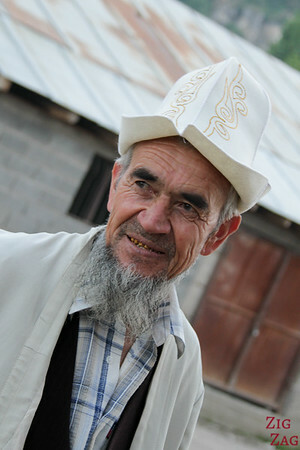 The people of Arslanbob are very friendly and a little bit more used to tourists (although not really foreigners). 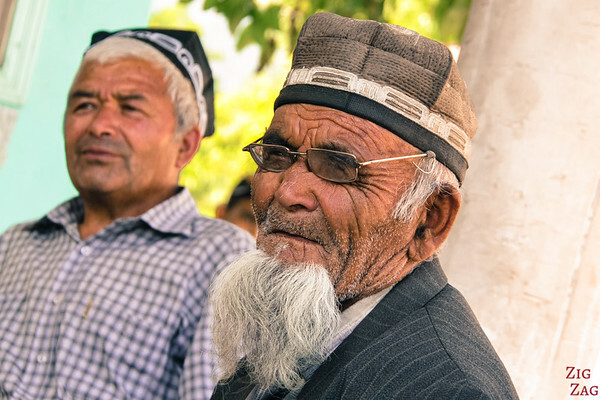 I spotted men who seem to have spent all day chatting in the center of the village. 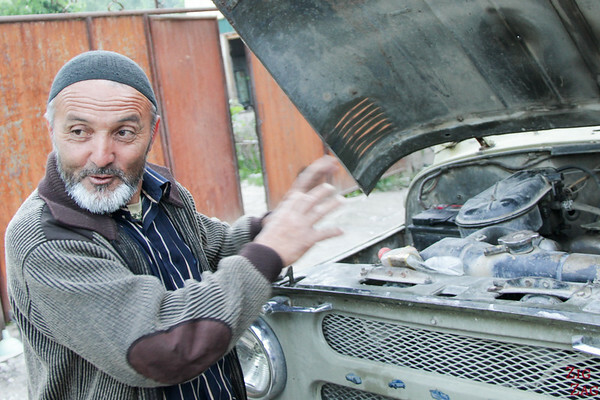 We also met a man who was very proud of his car and his 2 daughters. 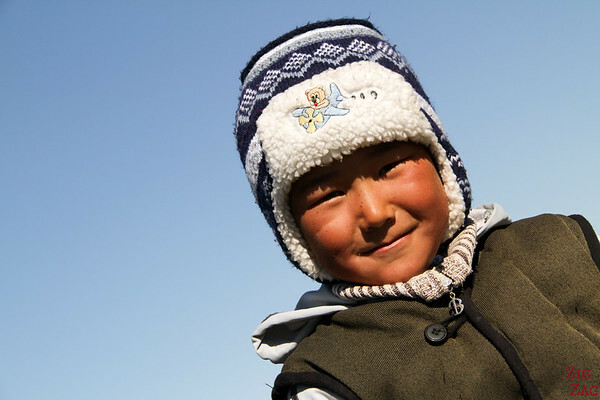 THere is no school from June to end of August in Kyrgyzstan. The children normally help their family. 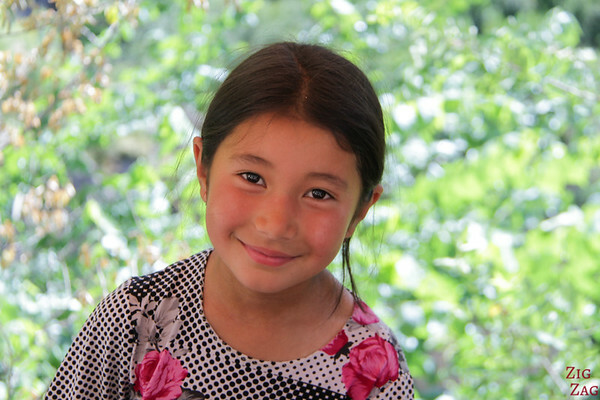 This little girl was with her mother and her brother at their stand selling souvenirs for the many Kyrgyz tourists visiting the area. 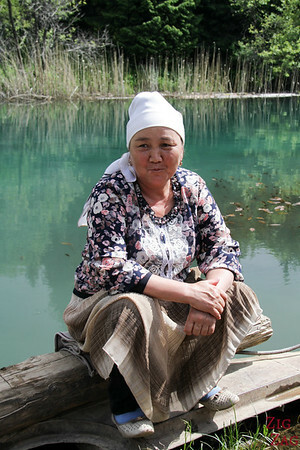 We were waiting to take a boat trip on the lake of Sary Chelek National park, as were many other families. 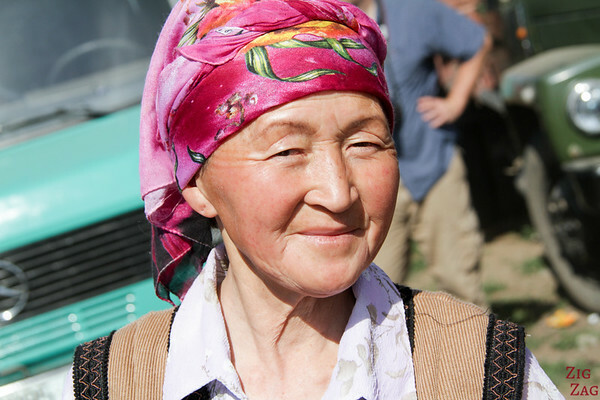 This is a popular place​ for Kyrgyz to take a vacation and this woman was waiting her turn discussing with her family. 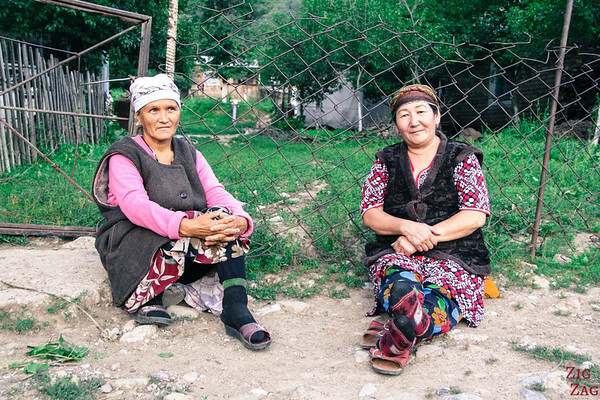 As we were walking around in the small village in Arkit, we met 2 women relaxing at the end of the day. Like most people they asked what we thought of their country. Then came the beautiful daughter of one of them with her freckles. She was stunning. 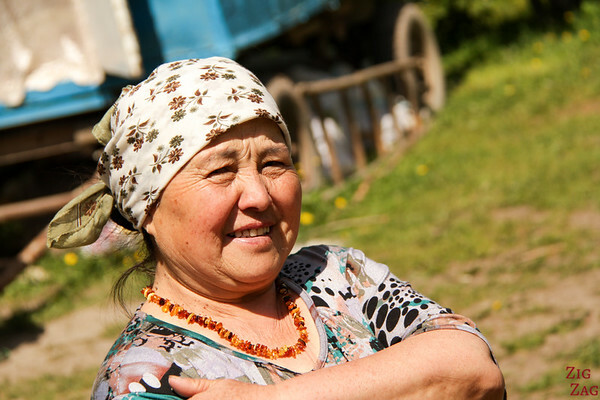 Do you enjoy meeting local people on your travels?